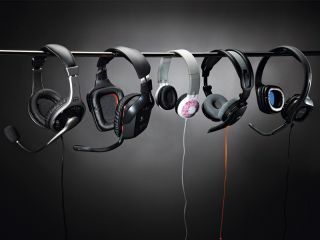 Looking for headphones that you can use to make Skype calls and for gaming? Windows: The Official Magazine has taken a quick look at five pairs. This cheap and cheerful headset lights up like a fair ride when it's plugged in, which is an unnecessary distraction. The problems don't end there – we couldn't adjust the volume, resulting in a deafening experience. They don't feel particularly well built, and the sound leaked so much that we wondered if any was actually going into our ears. Avoid. Logitech's über-expensive cans are wireless, so you can be 40 feet from your PC and still hear what's going on. The buttons enable you to skip and pause music, too. For music, they're a little washed-out, but the surround sound set-up makes them ideal for gamers who don't want to clutter their desks. Not strictly a headset – these don't include a microphone – but they're a set of headphones designed especially for kids, and they automatically limit the volume to 85 decibels, which is slightly louder than an average conversation. The also have interchangeable, customisable inserts, and the sound quality is surprisingly decent. Plantronics' headphones look and feel a little plasticky, but they certainly deliver a rich, clear sound, and they're surprisingly cheap, too. The boom microphone does a really good job of picking up your voice, and it automatically mutes when it's moved into the up position. The headset also supports Skype 4.0, for high quality voice calls.